While the general public awaits the declassification and release of the now-infamous four-page memo written by House Intelligence Committee Chair Devin Nunes, R-Calif., those who have read it are remarking with astonishment at the depths to which our federal government (including and especially persons in law enforcement and national security) has sunk. Politicians and pundits alike are saying that this is "bigger than Watergate." And plenty of people are talking about the roles played in the emerging scandal by FBI agents Peter Strzok and Lisa Page, Independent Counsel (and former FBI firector) Robert Mueller, Deputy FBI Director Andrew McCabe, former FBI Director James Comey, former MI6 spy Christopher Steele (author of the "Trump dossier") and the FISA court, just to name a few key players and institutions. But this is only the latest in a long line of scandals on the Democratic side of the political aisle (and they seem to get progressively worse as time goes on). What far fewer people are discussing is the role that the media has played in bringing us to this point. Like Donald Trump or hate him, among the feats he has accomplished is exposing the fraud of the U.S. media. We've all known about the pervasive left-wing bias among the national media. What was less well-known, but is becoming increasingly apparent, is the extent to which the media has actually facilitated misconduct by the government, as well as political campaigns and candidates. Think back over the past few years: Barack Obama lied his way through much of his eight years as president of the United States. He lied over and over again about his "signature achievement," the passage of the Affordable Care Act. The American public would not be able to "keep their doctors" or their insurance plans. There would be no savings of thousands of dollars. To the contrary, millions of people lost their health care providers and their insurance, and discovered that their new plans would cost thousands more a year. Obama's first attorney general, Eric Holder, was held in contempt of Congress. The media's reaction? Yawn. The Obama administration lied through their teeth about the Sept. 11, 2012 attack on our diplomatic compound in Benghazi, Libya. We were told that the attack was a spontaneous demonstration in response to a video. This was a lie -- and emails later discovered which were written by then-Secretary of State Hillary Clinton proved that it was a lie. The media's reaction? No big deal. And how dare you politicize a tragedy! Obama lied to the American public about the Iran deal. Former Deputy National Security Advisor Ben Rhodes bragged about how he could put out whatever talking points the White House wanted, and the press would dutifully publish them. 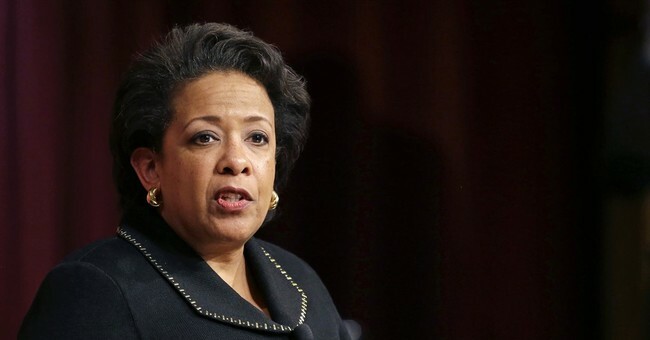 When then-Attorney General Loretta Lynch met with Bill Clinton in his private jet -- while his wife, Hillary, was under investigation by the FBI -- the media didn't blink an eye when we were told that they just discussed "golf, grandchildren and yoga." Days later, Hillary is magically exonerated by then-FBI Director James Comey. And it's almost impossible to keep up with Hillary Clinton's lies: Yes, she used multiple devices. Yes, she did know that the emails were classified. Yes, she did try to hide and destroy evidence while under investigation. Yes, national security was likely compromised. The media's reaction as each lie, one by one, was exposed? Nothing to see here, folks. Move along. Debbie Wasserman Schultz rigged the 2016 Democratic primaries? No big deal. Donna Brazile revealed debate questions to candidate Hillary Clinton? Whatever. Now we're supposed to believe that a federal law enforcement agency charged with aggregating and keeping information has magically lost five months' worth of texts. I'm sorry, but I don't believe that for a moment. In fact, I think it is a lie of a shockingly brazen nature. If the Clintons, President Obama, Susan Rice, Debbie Wasserman Schultz and other members of the DNC, the former attorneys general of the United States -- and now, certain actors in the FBI -- have been able to lie with impunity, it is at least in part because they were secure in their knowledge that a compliant -- if not complicit -- press would look the other way, deflect attention by demonizing anyone who dared to inquire or accuse, and even spew the perfunctory talking points in the face of overwhelming evidence. It is clear at this point that the media's role in Democratic scandals goes back years -- perhaps decades. It is also safe to assume that much of what we needed to know, we have not been told -- and that much of what we have been told was a lie. The American public should be as outraged with our press as they are about sexual predators in Hollywood -- and just as determined to weed out wrongdoers. The revolution is just beginning.